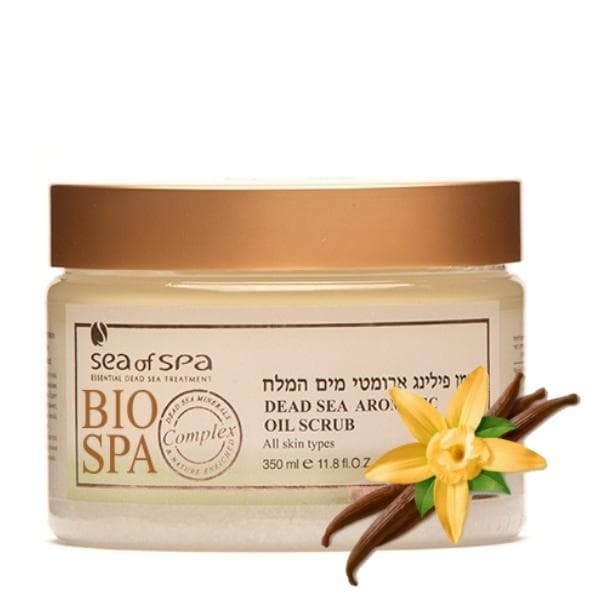 This effective aromatic oil scrub contains a combination of moisturizing oils and exfoliating Dead Sea salts. Can be used also in sauna. Deeply cleanses the skin without scratching it. Improves blood circulation and leaves skin silky and smooth. Effectively removes toxins and dead skin cells. Nourishes and smoothens the skin giving it a fresh, radiant and healthy look. Apply the scrub to damp body skin and massage in circular motions. Rinse with warm water. Avoid contact with eyes. It is recommended to use the body scrub 1-2 a week.